Walmart issued a Request for Information to expand its retail health footprint in the communities in which the world’s largest company operates. That was a strong sign that retail health has surpassed a tipping point. Now, there are hard data to support this observation from a RAND Corporation research team. Trends in Retail Clinic Use Among the Commercially Insured, published in the November 25, 2011, issue of The American Journal of Managed Care, quantifies retail clinic utilization among a group of Aetna health plan enrollees between 2007 and 2009. In those two years, use of retail clinics grew 10-fold. RAND looked at 11 acute diagnoses that comprise 88% of retail clinic visits — which the team calls “retail clinic-sensitive conditions:” upper respiratory infections, sinusitis, bronchitis, pharyngitis, otitis media, otitis externa, conjunctivitis, urinary tract infections, allergic rhinitis, influenza, and unspecified viral infections. The visits analyzed did not include immunizations and other preventive care services. Based on these clinical inclusion criteria, RAND looked into 13.3 million enrollees’ utilization in the study population. Retail clinic use increased from a monthly rate of 0.3 visits per 1,000 enrollees to 2.7 visits per 1,000 between January 2007 and December 2009. Among those with at least 1 retail clinic visit, the number of visits grew from 0.6 visits per 1,000 to 6.5 visits per 1,000 over the period. Statistically, the strongest predictors of use of retail clinics were proximity to a clinic, women, young adults, patients without chronic conditions, and high-income consumers. Interestingly, in this study, availability of a primary care physician had no statistical relationship to use of a retail clinic. Health Populi’s Hot Points: RAND’s bullish forecast for retail health should be seen as even more encouraging based on its methodology. Note that RAND’s calculations did not include preventive care services such as flu shots — a growing category of utilization in retail health. Immunizations already account for 40% of retail clinic visits — and are an important business strategy for pharmacies and Big Box stores with clinics because they get consumer foot traffic into the “front of the store” where profit margins for food and goods can be healthy for the bottom line. It’s also important to note that in this study population, there was no purely economic reason to visit a retail clinic versus a doctor’s office: copays for each type of visit were roughly the same. So there’s something else at play in terms of consumers choosing the retail setting for the 11 “retail clinic-sensitive conditions.” Hypotheses include convenience, after-hours care, consumer-experiential factors like ample and free parking, and ability to multi-task while receiving health services — specifically, shopping. 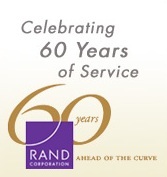 RAND points out two sides to the economic coin of retail health. On the positive side, care delivered in retail clinics is 30 to 40% less expensive than similar care at doctors’ offices, and 80% less expensive than in emergency rooms for the 11 conditions. However, if use of retail clinic isn’t replacing visits to doctors, but is additive to them, then health costs could increase. This begs the question: do retail clinics represent “supply-induced demand” for primary care? It is a question that isn’t answered in this study, but it’s worth investigating. What is probable is that retail health will grow, well beyond retail clinics. For more on this phenomenon, take a look at my paper for California HealthCare Foundation, Primary Care, Everywhere: Connecting the Dots Across the Emerging Health Landscape, published in November 2011. Next Post Who Will Pay For the Doc Pay Fix?